Margaret Krome-Lukens shows us the cob home being built by interns at North Carolina's Pickards Mountain Eco-Institute. Since iher new home is less than 150 square feet, she talks about the joy of giving up stuff to move in. 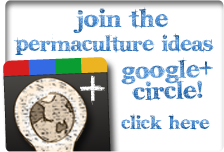 Glen's permaculture dreams becoming reality. Inspiration!